A blast from the past bundt cake, adapted from Cooking with Love and Butter (Home Interiors and Gifts, Inc.). Easy to whip up and doesn’t even require preheating the oven! Cream butter and sugar in a large mixing bowl until light and fluffy. Add in eggs, one at a time, incorporating well after each addition. Mix in flavorings and salt. Mix in flour, a bit at a time, blending until just incorporated. Stir in soda. 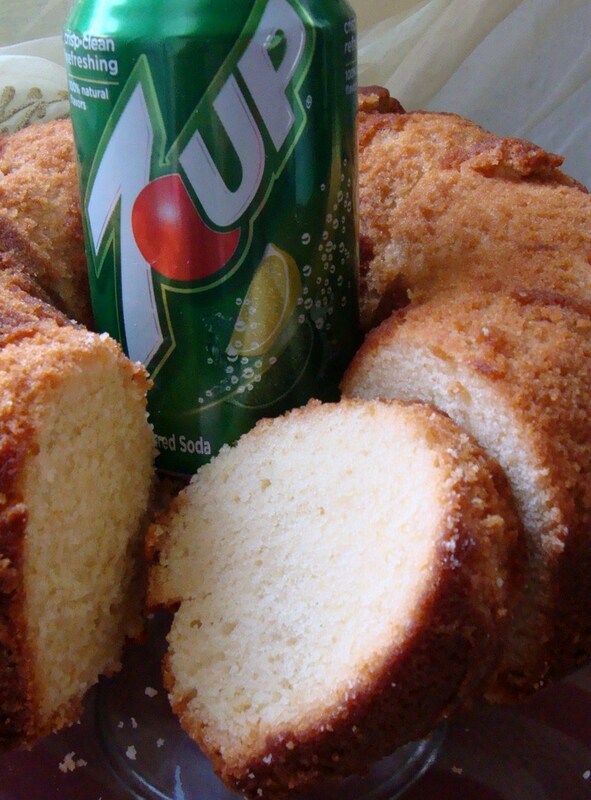 Pour into a greased and floured tube pan or bundt pan. Bake at 325 degrees for 1 ½ hours, or until done, starting in cold oven. Cool on wire rack before removing from pan.